Vietnam expects to continue growth of textile and garment exports to the Republic of Korea by the end of the year after strong results in the first seven months of 2018, according to the General Department of Customs. Up until July, Vietnam gained a year-on-year increase of 24.88 percent in textile and garment export value to $1.5 billion to the RoK, creating a strong breakthrough of those products to this market. In July alone, the export value of those products to this Northern Asian market reached $270.7 million, a rise of 24.18 percent against June and 24.06 percent compared with July 2017. China and Vietnam were the two largest garment suppliers to the RoK market, accounting for 34.46 percent and 32.67 percent, respectively. Vietnam’s garment exports to this market accelerated rapidly reducing the gap between market share of China and Vietnam on the RoK garment market at 40.18 percent and 29.52 percent, respectively, three years ago. According to Vietnam’s General Department of Customs, the Republic of Korea became the fourth largest export market of Vietnam, reaching $2.7 billion in 2017. 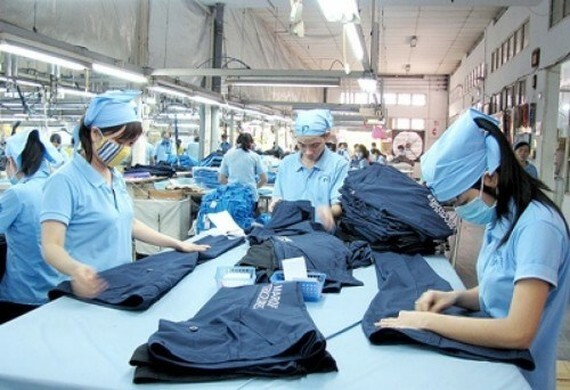 The Ministry of Industry and Trade said the strong growth in exports to the Republic of Korea was mainly due to the high competitive ability of Vietnam’s garments and higher spending of consumers on this market. In addition, tariff preferences from the Vietnam – RoK free trade agreement encouraged Vietnam’s textile and garment products entering the South Korean market, the ministry said. 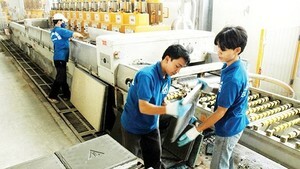 According to the FTA, 24 products of Vietnam enjoy lower tax against other countries in the ASEAN region. By the end of this year, Vietnam’s textile and garment exports to the RoK are expected to increase by 20 percent year on year. The textile and garment export value is estimated to rise 22 percent year on year to $3.2 billion for this whole year, reported vneconomy.vn. Vietnam is considered to have many advantages in supplying textile and garment products to the Republic of Korea. It is likely to become the largest garment supplier to this market. The General Department of Customs said in the first seven months of this year, Vietnam gained $10.2 billion from the total export value to the RoK, a year-on-year increase of 32.13 percent.